Discussion in 'Sager/Clevo Reviews & Owners' Lounges' started by HTWingNut, Apr 10, 2013. THE ANTICIPATION THREAD "W230ST - THE 13" WE'VE BEEN WAITING FOR ?!" WAS CLOSED AND CONVERSATION TO CONTINUE IN THIS THREAD. Useful links section added to this post at bottom. 6/6/2013 - Thanks to LightningPL for finding this, we finally have a site that is showing details of the W230ST! Thanks to Prema for the details. ECKS, jaug1337 and gimiki like this. Is there a solid release date yet? So... Any hints on when this is going to be available? I'm ready to throw my money at the first reseller that has it. . Updated OP with details we know, or at least think we know. Also any ideas what the Sager nomenclature will be? NP230ST? Or NP6130? ? I'd place performance around 670mx in shader bound titles and a bit below for rop/memory bandwidth bound situations. Prema BIOS Mod link for this model in my signature! Clevo should make sort of a James&Wade&Bosh announcement for this laptop, YES.WE.DID. I have been looking at this for quite a while and looking at my W110ER I currently use for EVERYTHING. I do not think I will be switching, I don't see any "wow factor" for this machine as I would have hoped too, YET. 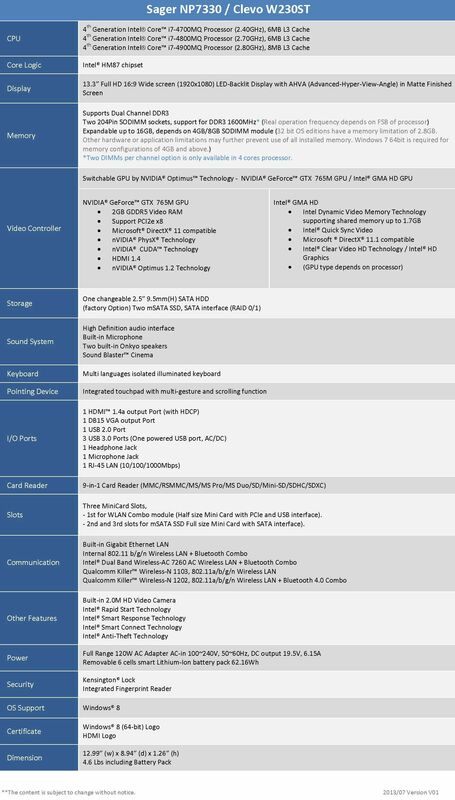 I don't see any thunderbolt, I don't see display port, I agree that it'll only have 2 Ram Slots, the GPU isn't going to be much of a jump up and what about a touch screen?. 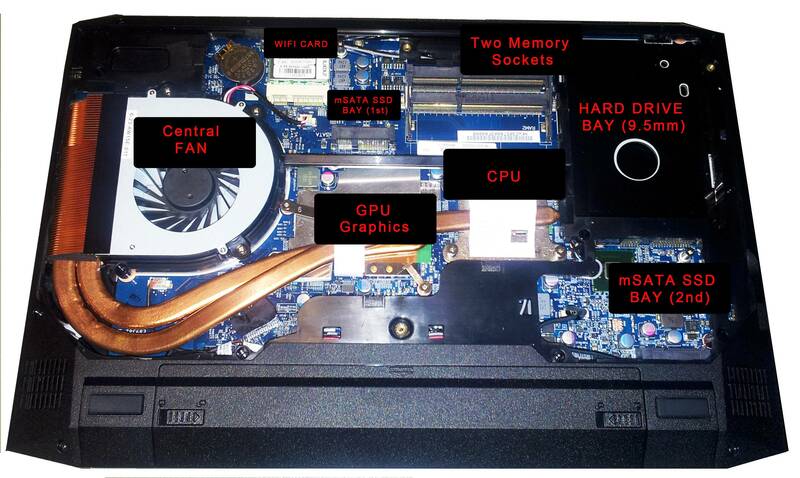 (why would they want to sell a 1k laptop with a powerful GPU?? they don't want it cutting into the sales of the larger more expensive laptops!) I think I will pass unless more than 2 of my WOW factors have been met.. IMO! Can't wait to see everyone's review on the machine, though.